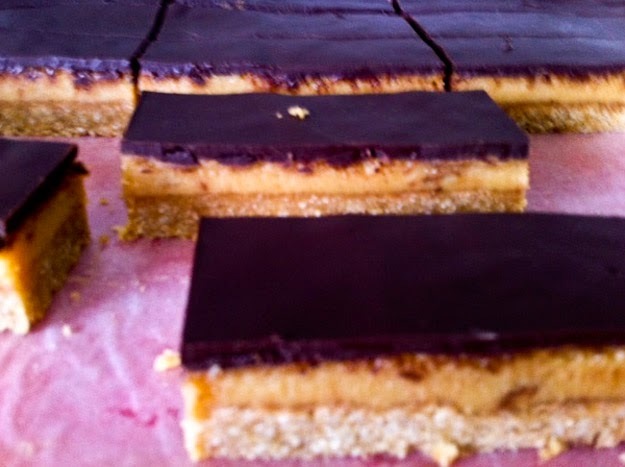 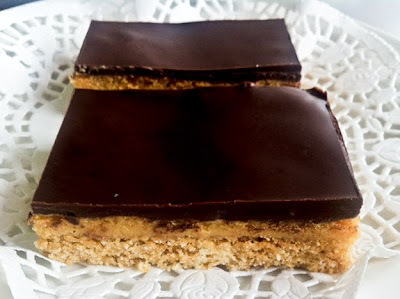 I have always had an appreciation for caramel slice despite not having a sweet tooth; the crunchy coconut base, the sweet gooey caramel centre and the brittle slightly bitter chocolate topping, who came up with such perfect combination? Despite having the three different components to tackle, it is indeed a very simple sweet to master. 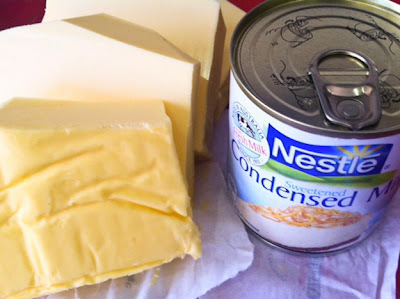 Well if I can do it, so can all of the closeted bakers out there! p.s do excuse the quality of the photos, taken with my iphone on a rather overcast day at work. 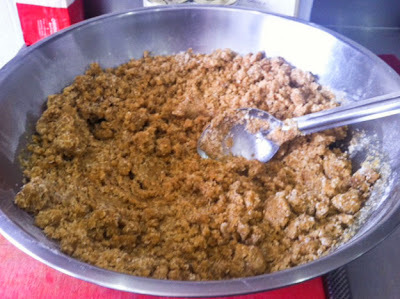 First start with the base by mixing all ingredients in a mixing bowl until well combined. Press mixture evenly and firmly into the lined pan. 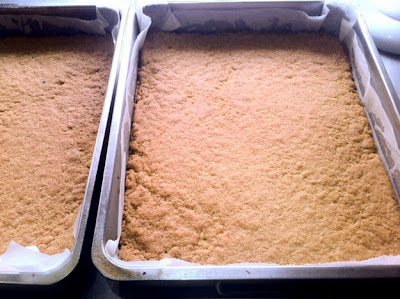 Bake in the pre-heated oven for 15 minutes or until browned lightly. 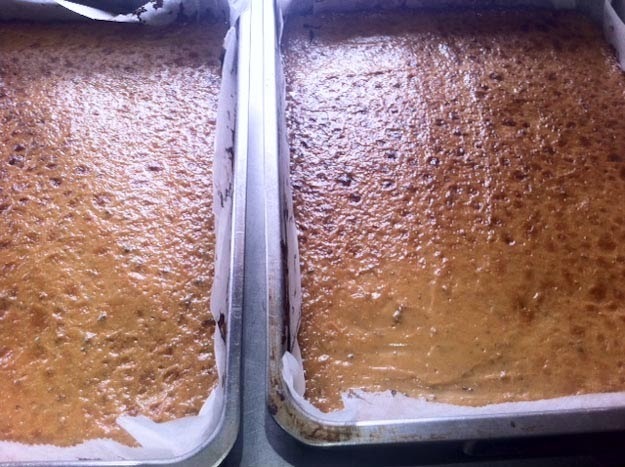 Remove and allow to cool down while preparing the caramel. 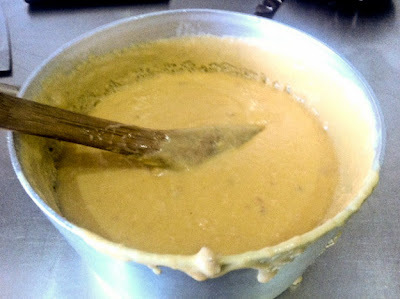 To make the caramel filling - place butter and golden syrup in a saucepan and stir until the butter has melted, add the condensed milk, mix well and continue to cook over medium heat (stirring constantly) for about 10 minutes or until the caramel is golden brown. 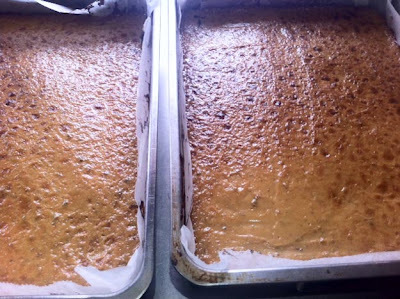 Pour caramel over the base and bake for 10 minutes. Remove and allow to cool while preparing the chocolate topping. 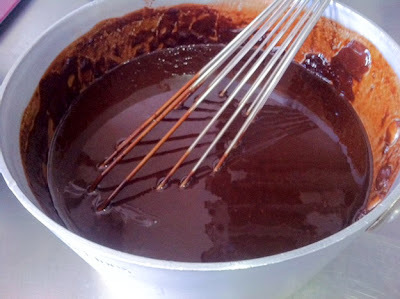 Stir chocolate and oil in a small saucepan over low heat until smooth. 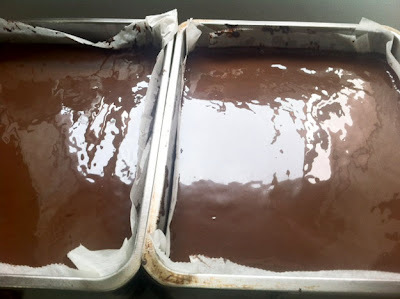 Pour over the caramel immediately, refrigerated for 3 hours or overnight. Slice with a hot knife (submerge in boiling water and dry well) to prevent the chocolate topping from cracking.